A tummy tuck (or abdominoplasty) is a surgical procedure that tightens and shrinks abdominal wall muscles and removes excess skin folds and fatty tissues from the middle and lower abdominal region. It’s often used post-pregnancy and in people who have lost excessive weight and have hanging belly skin. A mini-tuck is a less extensive surgery to tighten abdominal wall muscles and skin, resulting in a smaller scar in the bikini line. An abdominoplasty is not a surgical treatment for weight loss. If you have lost a lot of weight, or intend to lose weight, you should postpone all forms of body contouring surgery until you have reached a stable weight for six months or more. Be prepared to have some tummy tuck scarring along the incision line, above the pubic region, from hip to hip. Initially, it will be red, raised and bumpy and may take up to 18 months to fully settle. Mini-tummy tucks result in minimal scarring. The surgical procedure uses general anesthesia, so the patient is fully asleep. During a full tummy tuck (abdominoplasty), a long incision is made from hip to hip just above pubic region. 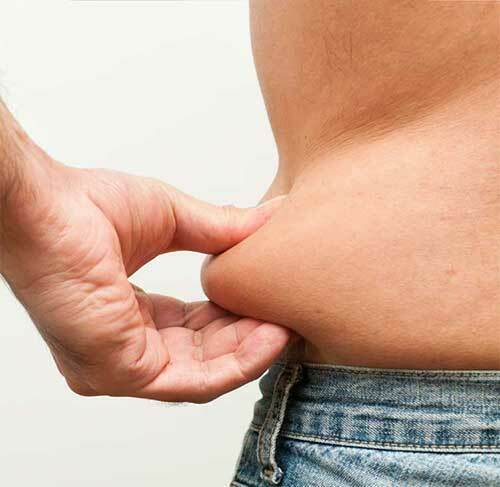 The skin and fat is separated from the abdominal wall up to the belly button, and then an additional incision is made around the belly button to loosen surrounding tissue so that the skin and fat can be entirely lifted away from the abs. The stomach muscles are stitched together, crafting a tighter, firmer abdominal wall and smaller waist. Skin and fat are stretched down toward the pubic region, and extra tissue is trimmed. A new belly button hole is created, and two drainage tubes are temporarily installed under the skin to release excess fluids during the first 48 hours. Surgery typically takes three to five hours. Expect to wear a compression garment around the waist and abdomen to reduce the post-op swelling and bleeding, and to walk tilted forward for the first two days so as not to pop the stomach sutures. Gradually, you will be allowed to walk at full posture. Drainage tubes are removed at your first post-op visit. Most patients return to work within 10 to 14 days of surgery. Expect to begin light cardio within seven days, moderate physical activity (including light strength training) in three weeks, and strenuous activity six weeks following surgery. Scars will flatten and fade between three months and two years after surgery.